BAJAN CALIFICACION AL REINO UNIDO. CHAU "AAA"
Moody's le baja la calificación a Reino Unido. Chau AAA. En seminario a inversores desde el 2010 venimos comentando que esto iba a ocurrir. Es como dice Armstrong: hasta una niña con una calculadora se da cuenta de que el primer mundo está en bancarrota. London, 22 February 2013 -- Moody's Investors Service has today downgraded the domestic- and foreign-currency government bond ratings of the United Kingdom by one notch to Aa1 from Aaa. The outlook on the ratings is now stable. 3. And, as a consequence of the UK's high and rising debt burden, a deterioration in the shock-absorption capacity of the government's balance sheet, which is unlikely to reverse before 2016. At the same time, Moody's explains that the UK's creditworthiness remains extremely high, rated at Aa1, because of the country's significant credit strengths. These include (i) a highly competitive, well-diversified economy; (ii) a strong track record of fiscal consolidation and a robust institutional structure; and (iii) a favourable debt structure, with supportive domestic demand for government debt, the longest average maturity structure (15 years) among all highly rated sovereigns globally and the resulting reduced interest rate risk on UK debt. The stable outlook on the UK's Aa1 sovereign rating reflects Moody's expectation that a combination of political will and medium-term fundamental underlying economic strengths will, in time, allow the government to implement its fiscal consolidation plan and reverse theUK's debt trajectory. Moreover, although the UK's economy has considerable risk exposure through trade and financial linkages to a potential escalation in the euro area sovereign debt crisis, its contagion risk is mitigated by the flexibility afforded by the UK's independent monetary policy framework and sterling's global reserve currency status. In a related rating action, Moody's has today also downgraded the ratings of the Bank of England to Aa1 from Aaa. The issuer's P-1 rating is unaffected by this rating action. The rating outlook for this entity is now also stable. The main driver underpinning Moody's decision to downgrade the UK's government bond rating to Aa1 is the increasing clarity that, despite considerable structural economic strengths, the UK's economic growth will remain sluggish over the next few years due to the anticipated slow growth of the global economy and the drag on the UK economy from the ongoing domestic public- and private-sector deleveraging process. Moody's says that the country's current economic recovery has already proven to be significantly slower -- and believes that it will likely remain so -- compared with the recovery observed after previous recessions, such as those of the 1970s, early 1980s and early 1990s. Moreover, while the government's recent Funding for Lending Scheme has the potential to support a surge in growth, Moody's believes the risks to the growth outlook remain skewed to the downside. The sluggish growth environment in turn poses an increasing challenge to the government's fiscal consolidation efforts, which represents the second driver informing Moody's one-notch downgrade of the UK's sovereign rating. When Moody's changed the outlook on the UK'srating to negative in February 2012, the rating agency cited concerns over the increased uncertainty regarding the pace of fiscal consolidation due to materially weaker growth prospects, which contributed to higher than previously expected projections for the deficit, and consequently also an expected rise in the debt burden. Moody's now expects that the UK's gross general government debt level will peak at just over 96% of GDP in 2016. The rating agency says that it would have expected it to peak at a higher level if the government had not reduced its debt stock by transferring funds from the Asset Purchase Facility -- which will equal to roughly 3.7% of GDP in total -- as announced in November 2012. More specifically, projected tax revenue increases have been difficult to achieve in the UK due to the challenging economic environment. As a result, the weaker economic outturn has substantially slowed the anticipated pace of deficit and debt-to-GDP reduction, and is likely to continue to do so over the medium term. After it was elected in 2010, the government outlined a fiscal consolidation programme that would run through this parliament's five-year term and place the net public-sector debt-to-GDP ratio on a declining trajectory by the 2015-16 financial year. (Although it was not one of the government's targets, Moody's had expected the UK's gross general government debt -- a key debt metric in the rating agency's analysis -- to start declining in the 2014-15 financial year.) Now, however, the government has announced that fiscal consolidation will extend into the next parliament, which necessarily makes their implementation less certain. Taken together, the slower-than-expected recovery, the higher debt load and the policy uncertainties combine to form the third driver of today's rating action -- namely, the erosion of the shock-absorption capacity of the UK's balance sheet. Moody's believes that the mounting debt levels in a low-growth environment have impaired the sovereign's ability to contain and quickly reverse the impact of adverse economic or financial shocks. For example, given the pace of deficit and debt reduction that Moody's has observed since 2010, there is a risk that the UK government may not be able to reverse the debt trajectory before the next economic shock or cyclical downturn in the economy. In summary, although the UK's debt-servicing capacity remains very strong and very capable of withstanding further adverse economic and financial shocks, it does not at present possess the extraordinary resilience common to other Aaa-rated issuers. The stable outlook on the UK's Aa1 sovereign rating partly reflects the strengths that underpin the Aa1 rating itself -- the underlying economic strength and fiscal policy commitment which Moody's expects will ultimately allow the UK government to reverse the debt trajectory. The stable outlook is also an indication of the fact that Moody's does not expect further additional material deterioration in theUK's economic prospects or additional material difficulties in implementing fiscal consolidation. It also reflects the greater capacity of theUK government compared with its euro area peers to absorb shocks resulting from any further escalation in the euro area sovereign debt crisis, given (1) the absence of the contingent liabilities from mutual support mechanisms that euro area members face; (2) the UK's more limited trade dependence on the euro area; and (3) the policy flexibility that the UK derives from having its own national currency, which is a global reserve currency. Lastly, the UK also benefits from a considerably longer-than-average debt-maturity schedule, making the country's debt-servicing costs less vulnerable to swings in interest rates. As reflected by the stable rating outlook, Moody's does not anticipate any movement in the rating over the next 12-18 months. However, downward pressure on the rating could arise if government policies were unable to stabilise and begin to ease the UK's debt burden during the multi-year fiscal consolidation programme. Moody's could also downgrade the UK's government debt rating further in the event of an additional material deterioration in the country's economic prospects or reduced political commitment to fiscal consolidation. Conversely, Moody's would consider changing the outlook on the UK's rating to positive, and ultimately upgrading the rating back to Aaa, in the event of much more rapid economic growth and debt-to-GDP reduction than Moody's is currently anticipating. The UK's foreign- and local-currency bond and deposit ceilings remain unchanged at Aaa. The short-term foreign-currency bond and deposit ceilings remain Prime-1. Moody's will assess the implications of this action for the debt obligations of other issuers which benefit from a guarantee from the UKsovereign, and will announce its conclusions shortly in accordance with EU regulatory requirements. Moody's does not consider that the one-notch downgrade of the UK sovereign has any implications for the standalone strength of UK financial institutions, or for the systemic support uplift factored into certain UK financial institutions' unguaranteed debt ratings. Moody's previous action on the UK's sovereign rating and the Bank of England was implemented on 13 February 2012, when the rating agency changed the outlook on both Aaa ratings to negative from stable. For the UK sovereign, the actions prior to that were Moody's assignment of a Aaa rating to the UK's government bonds in March 1978 and the assignment of a stable outlook in March 1997. For the Bank of England, the action prior to the one from February 2012 was the assignment of a Aaa rating and stable outlook in March 2010. Quedan solo 10 vacantes para el webinario de oro y plata. Madrid, 28 de Julio 2010 (OroyFinanzas) – Entrevista realizada por el por Blog Reymidas a Ted Butler, experto internacional de la plata y uno de los pioneros en exponer la manipulación a la baja de los precios de los metales preciosos. Sr. Butler, le agradecemos esta oportunidad. Primero quisiera preguntarle por su trayectoria. Sería interesante conocer como entró en el mercado del oro y de la plata, y como se convirtió en una autoridad mundial en esta materia. Mis inicios fueron en 1972 como broker de materias primas en Merrill Lynch y he sido analista independiente los últimos 20 años aproximadamente. ¿Cómo descubrió la manipulación en el mercado del oro y de la plata? A partir de 1985, cuando descubrí las posiciones a corto licenciosamente grandes que habían en el Comex de plata,y que estaban completamente fuera de línea con lo que ocurría con las demás materias primas. Luego, descubrí como a través del leasing del oro y de la plata y de las ventas a futuro, se manipulaba los precios de ambos metales. Una de las preguntas más frecuentes que circulan por la red, es que si la manipulación del oro y de la plata es ahora algo tan obvio ¿cómo es que nadie ha forzado al mercado a un default (incumplimiento de pago)? Solo porque no haya sucedido, no significa que no vaya a suceder, especialmente con la plata. si llegara algún inversor grande al mercado, con el interés de mover los precios al alza, podría ser acusado de manipulación, algo que se quiere evitar. Es mejor que muchos inversores compren plata, en vez de 1 o 2 grandes inversores. Que puede decir sobre el caso de los Hermanos Hunt y por otro lado, usted ha estado alertando sobre un incumplimiento de pago del COMEX, tiene alguna fecha específica? Parece que los Hermanos Hunt manipularon los precios de la plata en 1980, porque sin sus compras dudo que la plata hubiese podido alcanzar los 50 dólares la onza por entonces. En la actualidad sucede lo contrario, muchos inversores están comprando plata, lo cual es mucho más beneficioso. Creo que un default (incumplimiento de pago) del Comex es una posibilidad real, aunque no segura. Lo que si es seguro es que si el mercado manipula artificialmente los precios, como creo que es el caso con la plata, entonces esto debería desembocar en algún momento en una escasez del metal físico. Por supuesto, nadie puede precisar cuándo puede ocurrir esto. ¿Cuál es su visión actual sobre el mercado, los inventarios del COMEX, y su análisis del oro y la plata? El mercado físico de la plata es cada vez más estrecho, y sólo es cuestión de tiempo que eso se refleje en los precios. Para entender la dinámica del mercado del oro y de la plata, ¿cuales son los indicadores e informes más importantes que se deben consultar? Trato de mirar todo, incluido la evolución del mercado físico, evoluciones en regulación y cambios en la estructura del mercado como es reportado en los informes semanales del Commitment of Traders Reports (COT). Pero es importante recordar que estos son factores a corto plazo, el inversor en plata tiene más posibilidades de éxito si compra plata a largo plazo. ¿Cuáles son las mejores fuentes de información para el análisis fundamental del mercado de oro y plata. Que funciona para usted? Estudio toda la información posible, y lo que me funciona es aplicar el sentido común interpretando los datos. Siempre me pregunto: ¿cuál es la forma más lógica de juzgar los datos? Gracias Ted. Quisiéramos saber ¿cuales son las principales fuentes de información, analistas u organizaciones que sigue usted de cerca? Sigo de cerca todo lo que dicen, pero estoy mas interesado en las razones que respaldan las conclusiones. Posteriormente trato de filtrar los datos y las opiniones de manera inteligente. ¿Cual es su visión sobre la actual crisis de deuda soberana en Estados Unidos y Europa y sobre la crisis monetaria? ¿Cómo ve la evolución del precio del oro y de la plata para el resto del 2010 y 2011? Estoy más preocupado con la plata que con el oro, porque la plata representa para mí un mejor valor . Sigo de cerca las historias macroeconómicas, pero no creo que influyan tanto en la plata. ¿Cuál es su opinión sobre la Administración Obama? No vote por el, pero no podría haber hecho la cosas de manera muy diferente, dado las circunstancias que heredó. Es fácil criticar a alguien, pero es más difícil dar con alternativas constructivas sobre lo criticado. ¿Podría explicar en términos sencillos como opera “la red de manipulación a la baja del precio del oro”, quienes son sus miembros y como mantienen “el juego vivo” durante tanto tiempo? Habiendo sido uno de los primeros en señalar la manipulación del oro a través del leasing y la concentración de posiciones cortas, ya no es tan fácil suprimir el precio del oro. Es en la plata donde la manipulación está viva y activa. ¿Cuáles son las pruebas definitivas que podría exponer usted ante un tribunal sobre la manipulación del oro y plata? El gobierno de los Estados Unidos tiene datos que señalan inusuales concentraciones de cortos en el COMEX. Concentración es prueba de manipulación. Además, los datos del gobierno demuestran que un gran banco, el JPMorgan, tiene las mayores posiciones cortas en plata. ¿Qué hace un banco estadounidense apostando a la baja por el precio de tanta plata? ¿Cuánto oro y plata deben tener los inversores en su cartera. Puede decirnos la composición de su cartera? No soy asesor financiero, pero la plata tiene mucho peso en mi cartera. ¿Cuál es su visión sobre los ETF’s de oro y plata. Recomienda alguno de estos instrumentos? Enfadará a muchos, pero creo que en general es buena y han ayudado a la ecuación oferta/demanda. Pienso que la gente debería comprar monedas de inversión como los Silver Eagles de plata o plata de inversión en vez de los Fondos Cotizados SLV. Pero si la elección esta entre SLV o nada de plata, entonces es mejor que compren los SLV. 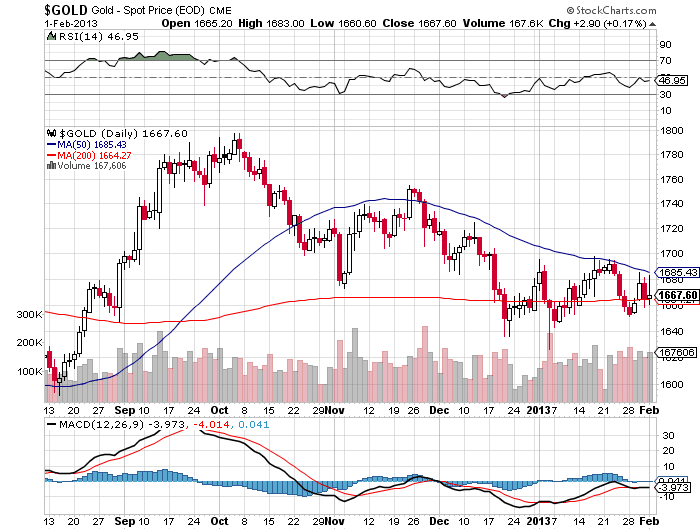 ¿Cree que los Fondos Cotizados de oro y plata GLD y SLV respectivamente son herramientas para la manipulación. Cuales son las evidencias que apuntarían en esa dirección si es el caso? ¿Cree que es mejor comprar físicamente oro o plata o que instrumentos de inversión recomienda? La plata física (lingotes o monedas) sigue siendo la mejor forma de invertir en plata. Para finalizar dos preguntas, ¿cree que en el futuro sería posible un retorno del patrón oro y según usted como acabará la crisis? No veo un patrón metálico, pero podría equivocarme. Tal vez podría implantarse un cierto tipo de patrón oro, pero no hay suficiente plata para ningún tipo de patrón plata. Dado que existen menos lingotes de plata en el mundo que de oro y el precio de plata se encuentra muy barato, las presonas puede montarse su propio “patrón plata” comprando lo que esté disponible a precios actuales. Con respecto al final de la crisis, creo que siempre tendremos crisis con las que lidiar. El truco es lidiar desde una base personal y continuar viviendo. Creo que poseer plata ayudara a la gente a hacerle frente a cualquier crisis que se desarrolle en el futuro. Esta es la entrevista a Marion Müeller, entrevista exclusiva y una de las primeras hechas por un medio argentino a una de las mujeres más informadas del oro del mundo. Por más que ella sea humilde y lo niegue, es así. Marion Müeller es una autoridad en el tema y es editora del prestigioso diario digital español Oroyfinanzas.com, venido en el "matutino digital" de quienes seguimos a los metales preciosos. 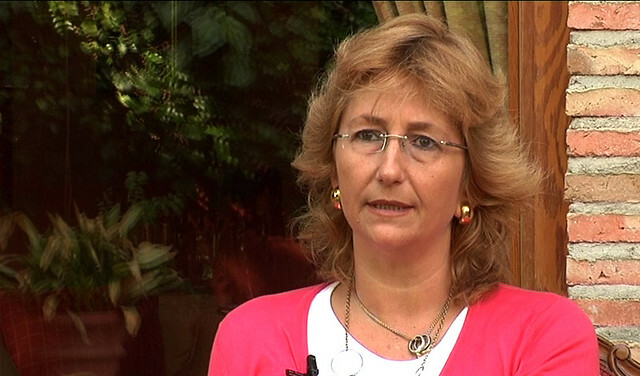 También es Vicepresidenta de la AEMP (Asociación Española de Metales Preciosos). Nuevamente, Blog Reymidas tiene nuevamente otra gran oportunidad de entrevistar a los referentes internacionales de los metales preciosos. Marion. Muchas Gracias por el honor de permitirnos hacerte esta entrevista. Para empezar sería muy interesante que escribieras tu vida profesional y como llegaste al mundo de los metales preciosos. Entiendo que ahora tal vez seas “una de las mujeres que más sabe de oro del planeta”.Sería interesante primero, conocer tu historia personal antes de comenzar la entrevista. Gracias a Ti y a tus lectores Midas. Exageras porque existen en el mundo expertos que conocen y analizan a la perfección el mercado del oro, mi labor estos últimos años ha sido y es únicamente la de difundir información sobre el oro como activo monetario. Mi relación profesional con el oro comienza en el año 2004, en el que fundo OroyFinanzas.com con la intención de informar sobre el mercado del oro en español, con el firme convencimiento de que nos encontrábamos en un ciclo alcista, si bien no idéntico, si muy semejante al de los años 70. Por entonces la cotización del oro se multiplicó por 24. En 2008 fundamos la AEMP ‘Asociación Española de Metales Preciosos’ con la intención de divulgar la importancia de los metales preciosos monetarios a través de charlas y conferencias como el Gold&Silver Meeting Madrid que celebramos anualmente y en el que hemos contado con relevantes figuras del mundo de los metales preciosos. ¿Cuál es la historia de OroyFinanzas.com y cual es su misión? ¿Podrías contarnos tu labor allí y en la Asociación Española de Metales Preciosos? En estos momentos soy editora de OroyFinanzas.com y vicepresidenta de la AEMP. OroyFinanzas.com comenzó su andadura en 2004 después de comprobar la casi nula información existente en español sobre el oro como activo monetario. Nuestra intención era contribuir a acercar información y conocimiento sobre el mercado del oro y el sistema financiero, para de esta forma poder ser capaces de proteger nuestro poder adquisitivo desde el punto de vista de un inversor de metales preciosos. ¿Crees que en estos años los españoles han despertado en lo que respecta a invertir en oro? ¿Están los españoles apostando a las monedas fiat o hay un gradual despertar hacia la inversión en metales preciosos? La demanda de oro y plata en España no tiene en la actualidad la magnitud que puede tener en países europeos como Alemania, Francia o Suiza donde existe más tradición, información y comprensión sobre el tema. Pero estamos comprobando que en los últimos dos años debido a la crisis y a la creciente desconfianza que despierta entre los ciudadanos el sistema financiero y bancario, se ha desarrollado un incipiente interés por la inversión en metales preciosos por parte de los inversores y ahorradores españoles. Cada vez son más las compañías tanto nacionales como extranjeras relacionadas con la compra y venta de oro que se están estableciendo en territorio español. ¿Cómo ves el panorama internacional y de los metales preciosos? ¿Cuál es tu visión del mercado en general? El panorama económico internacional resulta todo menos alentador, la situación financiera se está deteriorando en muchos frentes a nivel mundial y el endeudamiento del sistema supone un grave riesgo. Tanto los bancos centrales como los gobiernos parecen haber perdido el control y como consecuencia las divisas se están devaluando a pasos agigantados. Durante la última década, el aumento de la cotización del oro ha actuando como una especie de barómetro indicador de la devaluación de los demás activos. Todos los fundamentales que han hecho que el precio del oro se haya revalorizado desde los 250 dólares en los que cotizaba en 2002 hasta los casi 1.650 de la actualidad, continúan estando presentes, teniendo en cuenta que los mercados alcistas de materias primas suelen durar una media de alrededor de 17 años. Asimismo es interesante resaltar que durante el último mercado alcista del oro de los años 70, países de mercados de economías emergentes como China, Rusia o India no participaron por tener sus ciudadanos prohibida la compra de metales preciosos, pero ahora si lo hacen y muy activamente. Probablemente de China provenga el gran cambio en el mercado internacional del oro. En una entrevista que te hizo Televisión Española ( TVE) comentas que esto no es solo una crisis, sino el final de un ciclo. ¿Todavía sostienes esta visión y podrías dar una visión actualizada sobre esto? En efecto creo que definir y englobar el actual estado del sistema financiero internacional como una simple crisis es un error. Nos encontramos ante algo mucho más grave, el final de un ciclo financiero que comenzó el 15 de agosto de 1971 cuando Nixon desligó al dólar de su respaldo en oro y el mundo entró en una nueva era de libre flotación de las divisas sin mayor respaldo que la confianza que podamos tener en los emisores del dinero y esa confianza se ha comenzado a romper después de 40 años. Nos enfrentamos ante la imperiosa necesidad de replantear el sistema financiero internacional en su globalidad o asumir las consecuencias de tanto desequilibrio. Muy conocido es el histórico ratio de 16 a 1 de plata con respecto al oro. ¿ Cómo ves el potencial del metal plata y que opinás del futuro del ratio oro y plata? La plata ha tenido una función monetaria a lo largo de la historia quizás mayor que la del oro y al igual que el oro, posee todas las propiedades del dinero. En la actualidad el ratio entre el oro y la plata se encuentra alrededor de 50 y efectivamente el cociente medio histórico es de 16/1 y por otra parte los depósitos geológicos también confirman que existe aproximadamente unas 10 veces mas plata que oro. La cotización de la plata en 1980 alcanzó máximos de 50 dólares la onza que ajustados a la inflación oficial actual corresponderían con unos 130 dólares, teniendo en cuenta que en la actualidad cotiza alrededor de los 30 dólares, se encuentra muy lejos de sus máximos reales. La plata lo mas seguro aumentará de precio en tándem con el oro pero con mayor volatilidad. Hay que tener en cuenta que la plata depende contrariamente al oro de su demanda industrial, y si el futuro depara una depresión económica mundial la demanda industrial de plata mermaría. Cada vez mas personas de China, India, Rusia, Europa o Estados Unidos están comprando plata física, para protegerse ante la posible depreciación de las divisas. La plata como materia prima además es cada vez más escasa ya que contrariamente al oro se consume mientras el oro se acumula. En la actualidad la plata forma parte activa de la vida moderna, se utiliza en electrónica, en medicina, en paneles solares, etc. Y gran parte de su demanda es industrial. Desde el año 2003 su cotización aumentando de valor a un ritmo mucho mayor que el mercado de acciones o bonos, pero esta sujeta a una alta volatilidad, por lo que lo más recomendable es la inversión a largo plazo. ¿Crees que existe manipulación del precio de los metales preciosos y que opinás al respecto? Desde el estallido de la crisis se han destapado una serie de intervenciones y manipulaciones como los programas de flexibilización cuantitativa QE o las intervenciones en los mercados de divisas, sin olvidar la recientemente manipulación del precio de los tipos de interés en el caso del LIBOR, así que desde luego no se puede descartar nada y mas teniendo en cuenta que el precio del oro al alza lo que señala son desequilibrios en el sistema monetario y financiero. Entre 1961 hasta 1968 se sabe que se manipuló el precio del oro, algunos gobiernos y bancos centrales decidieron intervenir el mercado mediante la creación del "London Gold Pool", a través del cual intentaron mantener artificialmente el precio del oro en 35 dólares la onza. Algunos opinan que la mejor salida podría ser un regreso al patrón oro. ¿Cuál es tu visión como Editora de OroyFinanzas.com? Ignoro si la solución perfecta para restablecer un sistema financiero estable pasa por un patrón oro, lo que resulta evidente es que hace falta una reforma financiera y monetaria mundial desde los cimientos. El oro ha sido durante miles de años la mejor manera de salvaguardar los ahorros y el capital, mientras que el dinero papel ha tenido siempre existencias más cortas. Por eso en épocas de crisis como en la actual el oro recobra su papel monetario. Si se instaurase un patrón oro posiblemente se limitaría el excesivo crecimiento monetario y se lograría la estabilidad del dinero a largo plazo, pero no parece muy probable que esto suceda. Lo que es una realidad es que son cada vez más los bancos centrales como los de China o Rusia así como también instituciones y particulares que están eligiendo al oro como una moneda de reserva de facto. ¿Cómo ves al futuro del euro y la eurozona? ¿Hay riesgos de fragmentación? Mientras que la Unión Económica y Monetaria de la Unión Europea continúe rescatando a los países miembros mediante ayudas y subsidios, el euro se continuará debilitando y la fragmentación no se puede descartar. Pero hay que tener en cuenta que los déficits masivos están teniendo lugar tanto en Estados Unidos como en Europa y están haciendo peligrar el sistema financiero de manera global. Lo que es altamente preocupante es el gradual empobrecimiento de la población. La actual guerra de divisas dejará dolorosas cicatrices en la economía mundial. ¿Qué porcentaje de oro y plata debería uno tener en su cartera? Esa es una decisión muy personal, pero de una manera generalista siempre se ha recomendado que una cartera bien diversificada debe tener un 20% en metales preciosos. Otra de las preguntas muy populares es la siguiente: ¿cómo puedo saber cuando llegue el momento de vender metales preciosos y que señales o eventos debería prestarse atención que indiquen la cercanía de ese momento particular? Lo de cuando ha llegado el momento de vender es un tema muy particular y diferente para cada inversor, pero si a lo que se refiere es a cuando podemos intuir que el precio del oro ha alcanzado máximos en este mercado alcista, quizás un indicador interesante sea fijarse en el ratio Dow Jones / Oro. En la actualidad el cociente de ese ratio se encuentra en 1/7,5 y los máximos del precio del oro se deberían alcanzar cuando el cociente sea de 1 a 1, al igual que sucedió durante el último mercado alcista en 1980. 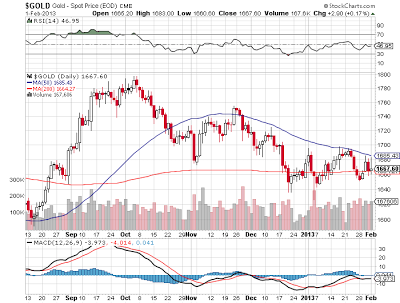 Por aquel entonces el precio del oro se situó a la par con el Índice Dow Jones en 850. Asimismo un escenario muy desfavorable para el oro sería una drástica disminución del endeudamiento combinado con un aumento de los tipos de interés. ¿Ves como probable una suba de tasas de interés de la Reserva Federal y el fin de las subas de los metales preciosos? La Reserva Federal ha estado comprando bonos por medio de la expansión cuantitativa para mantener bajos los tipos de interés y ahora no hay vuelta atrás. Si no continúan con la expansión monetaria el dólar estaría bajo presión y la actividad económica estadounidense se desplomaría del todo. Pero si continúan aplicando los programas de Quantitative Easing la viabilidad del dólar como moneda de reserva mundial también se pondrá en entredicho así que momento parece que todo apunta a que los metales preciosos continuarán su ciclo alcista. ¿Qué visión tienes de la economía estadounidense y el dólar a corto y largo plazo? El sistema económico estadounidense actualmente es absolutamente dependiente del crédito. Para evitar una devaluación del dólar se deberían dejar caer a los grandes bancos, aumentar drásticamente las tasas de interés y reducir masivamente el gasto público, pero esto es altamente improbable que suceda. Mas bien todo apunta a que se continuará imprimiendo dinero, como hasta la fecha se ha estado haciendo. ¿Qué instrumentos de inversión recomiendas para exponerse en metales preciosos y por qué? Eso depende del perfil de cada inversor, uno se puede exponer a la inversión de oro de múltiples formas según sus necesidades y perfil de riesgo. Oro, que tuvo fuertes compras en 1600, necesitaba rebotar rápido ahí o quebrar a la baja.Esto lo habíamos comentado el lunes pasado. Ahora al cruzar los 1600, puede caer tranquilamente hacia 1520. Mantenemos la recomendación en XAU EUR pero con mucho margen. Si no tiene esa tolerancia, cierre ahora.Se mantiene VIX. Últimamente he recibido consultas sobre lo que está pasando en los metales preciosos. si los gobiernos están emitiendo dinero y tal vez embarcándose en una guerra de devaluaciones competitivas, ¿ por qué baja el oro? Bueno en estos momentos hay una guerra de la información por su mente y las decisiones que haga con su dinero. En este momento están lloviendo los emails de proveedores de metales físicos diciendo "ya bajó ahora compre . Llame al teléfono que aparece en la pantalla. Estos precios son muy bajos" . O tal vez "Plata se va a 50 U$S este año" ( sin dar ningún fundamento). Primero lo primero: sea su propio analista y no se deje distraer de lo fundamental a largo plazo. Le reitero: sea su propio gurú. Si usted está preguntándose que está pasando con los metales y si no sabe que hacer, los metales preciosos no son lo suyo ya que usted está dudando de su inversión y de las razones por las que invirtió a largo. 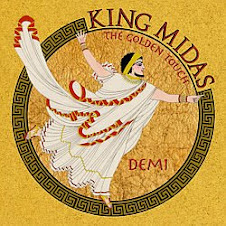 Blog Reymidas viene recomendando posiciones en commodities e incluso numismática de manera sistemática desde ya van a ser 5 años. Aquellos lectores e inversores que tuvieron paciencia, hoy tienen retornos. Recientemente he vendido para estudiar el mercado numismático unas monedas de plata que recomendamos aquí desde el 2010. Todas tienen excelente demanda y el precio en algunas recomendadas públicamente han subido más del 100% en 18 meses. Incluso he llevado la moneda que físicamente recomendamos en curso de inversores en varias oportunidades ( Mundial 78 Cuño 77). Somos conservadores para recomendar , preferimos subirnos una vez que el tren arranca hacia destino. Los metales han caído porque son un termómetro internacional y por varios factores. Pero han hecho récords en otras divisas, como yenes, euros o pesos argentinos. En Blog Reymidas tratamos de no estar sesgados y dar nuestra visión honesta. Incluso hemos alertado vía Facebook cuando era inminente los derrumbes porque se anticipaba una orquestación a la baja del oro. Desde diciembre eramos bajistas en el oro, cuando estaba arriba de 1710. Luego tuvo un derrumbe y recuperación, donde pasamos a "neutral" vía twitter.Todo debidamente registrado. Las posiciones en FOREX son solo para expertos. Para la primera pedimos que se haga con mucho margen ( 50%) y se use un apalancamiento máximo de 2 a 1 . La segunda apuesta es a la volatilidad de los mercados. "Compre oro, compre oro ya , está barato y se va a volar a 3000 dolares la onza tal vez este año..."
Usted pone cara de escéptico y diga "ahh, sí la producción anual es mayor a 4000 toneladas, según el WGC . Y EEUU tiene 2 años de producción anual de reservas , según sus estadísticas... pueden voltear al oro en cualquier momento. ¿ qué opina al respecto? Y el seudo-analista, al ver su despliegue de estadísticas convincentes, cambiará de tema, y hablará seguramente de que bien que hizo Warren Buffett en comprar la empresa que hace ketchup. Que queremos decir con esto. EEUU todavía tiene poder y defiende su "petrodólar" mientras acosa al " Oso y al Dragón". Gran parte del oro mundial está en manos de políticos a nivel internacional. Eso nunca se lo olvide. Por eso preferimos plata y platino a largo , entre otras opciones. Sin dudas que oro es mejor opción que un papel pintado a largo plazo. Pero somos cautos. Tampoco es que los estados pueden vender fácilmente su oro a sabiendas que el primer mundo se encuentra en bancarrota. De así hacerlo, podría ser considerado traición financiera...Por mucho tiempo también existieron acuerdos entre bancos centrales para limitar esas ventas. Japón está devaluando y el primer mundo no protestó. Al menos en público. Pero crecen las dudas y cuales serán las jugadas. Es claro que Japón está tirando la primera gran piedra del 2013 y falta ver que hará el resto. No mire lo que los políticos dicen sino lo que hacen. Además, si los fondos de inversión del mundo tienen que vender activos japoneses y refugiarse en la bolsa americana para comprar otros activos ( incluso oro)...adivinanza...¿qué tienen que comprar primero? DOLARES ESTADOUNIDENSES. ESTO ES CLAVE. el dólar es el PEAJE. EL PETROPEAJE MUNDIAL. ESTO ES CLAVE. Si Warren Buffett quiere pasar toda su fortuna a oro de la noche a la mañana puede hacerlo? No. ¿Puede comprar bonos estadounidenses? Sí. Los peces gordos no pueden entrar rápido al mercado de "plata", por ejemplo. Ya que si Warren Buffett entrara, con la mitad de su fortuna de golpe haría explotar por los aires ese mercado y sería acusado de "monopolista y perverso acaparador que castiga a los países industriales y especula con los insumos de la industria dañando el empleo." ( lenguaje clásico de políticos). Los gobiernos están devaluando. Desde el 2010 alertamos que Japón estaba en la mira. Tardó , pero el accionar japonés llegó. Los mercados bursátiles están dudando de continuar al alza, como el índice Dow Jones en 14000. Es por eso la apuesta al VIX ( apuesta a volatilidad). Enfóquese a largo plazo y sepa que los gobiernos en bancarrota ya le están echando manos a las imprentas de dinero hace rato . No deje que lo asusten de su visión a largo. En estos momentos oro en 1600, recuerda a cuando pronosticamos el piso del oro en 1500$ por compras de bancos centrales. Hay fuertes compras actuando en esta zona. Atención y seguimiento. VIX y XAU EUR son las 2 recomendaciones a seguir. Hemos agregado una novedad: La Biblioteca Blog Reymidas con los libros recomendados. Vamos a seguir incorporando más. Click aquí para verla. Desconfíe de los analistas. Son los verdugos de las finanzas. Sea su propio analista. Quería compartir este link donde podrá ver la cotización de los mercados, divisas y metales en vivo. El link es de Netdania y puede accederlo aquí. El metal precioso que más sube en el año es el platino, con un 12%. Plata debería superar los 33$ primero para dar señales de arranque alcista de corto y 35$ para dar una mejor señal hacia los 40 U$S. Pero bueno, todo está bien. 4 de cada 10 estadounidenses viven "con lo justo" . Esto es el resultado de una investigación. Y es lo que pasa si uno no está preparado para las crisis y el ritmo cambiante de la economía mundial. Todavía falta una señal clara de que estrategias serán oportunidades para el 2013. 4) Japón emitiendo y forzando a varios a tomar posición en USA ( dólares) , y equities. El índice VIX tan bajo no puede durar por mucho tiempo así. Sería bueno esperar a que los mercados "aflojen" si quiere tomar posiciones en los mercados. El dinero de los bonos, va a tener que fluir a equities y tangibles. Esto debería ser tendencia del año. Tal vez, la estrategia del año. Alerta. Japón quiere técnicamente hacer volar por el aire a la bolsa japonesa Nikkei un 17% adicional de aquí a marzo. Esto lo quieren hacer para el 31 de marzo. El Ministro de Política Económica y Fiscal Akira Amari, dijo el sábado que el gobierno intensificará los esfuerzos de recuperación económica para que el índice referencial Nikkei salta un adicional de 17 por ciento a 13.000 puntos a finales de marzo. Ahí está el intervencionismo japonés a toda máquina. Quieren hacer volar su propia bolsa. La era de la "deflación japonesa" ha terminado. Esto puede disparar una guerra de devaluaciones competitivas en Asia y luego en Europa y a todo el mundo. Esto es guerra y ha comenzado. La currency crisis que pronosticamos hace más de 1 año está aquí, en tiempo y forma. Veremos como se desencadenan los eventos a nivel global raíz de todo esto, de alta complejidad y muy interrelacionados. Una forma de apostar en contra de todos los banqueros centrales es apostando a los refugios TANGIBLES. Argentina sigue bajo un durísimo "cepo cambiario" en donde los argentinos no pueden ahorrar. Argentina tiene las condiciones económicas tales que si uno deja el capital quieto , el capital se autodestruye. Si uno quiere traer dinero del exterior, tiene muchos problemas y se le pesifica el dinero al tipo de cambio oficial ( 5$). Supongamos que quiere cobrar dólares o euros del exterior, se le pesifica a ese tipo de cambio "oficial". Usted, en Argentina, no tiene forma de acceder a ese tipo de cambio oficial si quiere comprar para ahorrar. El ex -vicepresidente de esta gestión deslizó los rumores de la emisión de una nueva moneda ( "Federal"). El máximo responsable de coordinar el comercio interior dijo lo siguiente: que esperaba una devaluación del 18 o 20% de la moneda nacional (!!!). Esto fue el 22 de enero de 2013. 2 semanas mas tarde, manda a congelar precios a los supermercados por 2 MESES y genera revuelo internacional ( 5/2/2013). No se puede girar dinero libremente al exterior. Supongamos que ve una oportunidad de trading y quiere operar divisas en el exterior. Antes se podía hacer, ahora no. Por lo tanto, uno de los "hobbies" de este editor ha quedado totalmente imposibilitado desde el cepo cambiario.¿ NO garantiza la Constitución ejercer libremente el comercio? ¿ Qué tal comprar oro y comprar monedas argentino oro para coleccionistas? Tampoco se puede comprar con facilidad en la Argentina.Turistas no pueden comprar las monedas que antes podían. Otros países están preparándose para la guerra de devaluaciones competitivas. Alientan a su población a adquirir oro y plata ( ej. China). Mejoran los impuestos para hacer que OTROS inversores lleven su oro allí para almacenamiento. Mientras tanto, nuestro oro y plata sale en abundancia al exterior y los argentinos no pueden acceder a él con facilidad. No hay dudas de las posibles buenas intenciones, pero recordar que los países líderes son los que entienden las reglas del dinero. ADONDE VA EL ORO, VA EL PODER. En este momento el grueso del oro y los metales preciosos se van al exterior. Comencemos a refinar más como política nacional y popular facilitando que la población ahorre en metales preciosos en un contexto internacional de guerra de divisas. Particularmente, no creo que ningún partido le interese tocar el tema porque es un tema tabú. Es un código Omerta. Tal vez las bases más jóvenes abran su mente y empujen algo tan básico y de gigantesca importancia, pero vedado de ser comentado a nivel nacional. La actual administración ha incrementado NOTABLEMENTE las reservas de oro argentinas que van rumbo, si Dios quiere, al 8%. La propuesta es que subamos el ratio al 20% con mayor rápidez , con conversión al 50% de las mismas a metal plata ( remonetización). Copiemos lo que hizo bien Venezuela. También el BCRA debería hacer el disclosure al público de su ubicación actual, distribución geográfica, y resumen operaciones realizadas contra esas tenencias de cualquier tipo ya sea leasing, swaps o cualquier otra operación financiera que implique usar las reservas oro como parte contractual o colateral de las mismas. Y la política de hedging, a mi entender, no ha sido la más afortunada. Esto es para aumentar la "transparencia". Esto se puede hacer y se debe hacer por el bien del patrimonio nacional. Un grupo de más de 300 ciudadanos argentinos. Un gobierno nacional y popular no debe permitir que las devaluaciones extranjeras confisquen la riqueza. Que la red de bancos centrales persistan en sostener tanto papel moneda solo puede inducir a pensar en una red esclava de bancos centrales de transferencia de riqueza al estilo romano imperial. Dejando la improvisación por un lado y haciendo más políticas nacionales se puede realmente generar un clima de negocios más favorable y ahorro nacional, la base de la fortuna de los países. De lo contrario, la senda de la autodestrucción será la que se transite, de manera innecesaria. Long XAU EUR con 50% de margen. Y paciencia.Trade recomendado para quienes operen en divisas.Recuerde,mucho margen.Oro en euros tiene mucho riesgo de subir en el año. Según el columnista Steven Sears Barron, alguien hizo una gran apuesta en contra de la ETF financiero ayer (símbolo XLF), y ha sido el comentario del día en los mercados de todo el mundo. El trader compró 100.000 opciones de venta sobre el ETF (un aumento en el valor de opción de venta cuando el precio del activo subyacente, en este caso, el ETF, baja). Para poner esa cifra en perspectiva, Sears escribe: "Pocos inversores comercian más de 500 contratos, por lo que una orden de 100.000 tiende a detener el tráfico y estimular todo tipo de especulaciones sobre lo que está motivando el comercio". Según Sears, la operación "ha generado conversaciones a través del mercado". Haga clic aquí para inscribirse al webinario de metales preciosos. *Acceso a webinario Introducción a la inversión en Metales Preciosos y outlook internacional. Evento programado para el 28/2/2013 a las 20 hs hora Argentina. De no estar disponible, recibe la grabación por email (descarga). *Bonus: PDF con entrevistas a gurúes internacionales de los metales preciosos de libre disponibilidad actual. Descuento por pago anticipado : 28% hasta el 7/02/2013. Últimas 24 horas para inscribirte a precio bonificado por única vez. Haga una inversión 100% recomendable y segura para su educación financiera. Aprenda ahora los secretos de los metales preciosos, información muy importante en la crisis. Solo los ganadores aprovechan los cambios en las reglas del dinero. Como lo hemos demostrado una y otra vez, se puede ganar dinero en la crisis si conocen los cambios en las reglas del dinero para proteger el patrimonio familiar. Oportunidad histórica a precio muy bajo . La mejor oportunidad de aprender. Click aquí para anotarse. Los esperamos! Recuerdan cuando advertí con video que se venían precios máximos como el emperador Diocleciano? Hoy es una realidad.El modelo condujo a Roma. Igual que en el Imperio Romano,recetas antiguas en la Argentina de hoy. Desempleo mucho más alto que ahora parece ser estructuralmente más alto (no baja). La más alta cantidad de ciudadanos adheridos a planes de bienestar - cupones de alimentos - con un nombre ahora políticamente correcto: SNAP. Deflación inmobiliaria masiva Desalojos masivos en todo el país. PIB menor que cero - contracción! Déficit fiscal de $ 1billion ... cada año. Deuda-PIB en territorio república bananera: 103,8%. Casi todos los países occidentales en el mundo insolventes. Un ministro de trabajo francés admitió recientemente que Francia "... es un estado totalmente en bancarrota." Si esto hubiese sido predicho, ¿creería usted que el mercado subiría más del 100%? Seguramente, en 2007, lo vería como algo imposible, pero es una realidad. Envíen sus tarjetas de agradecimiento y los mejores deseos a Ben Bernanke en la Reserva Federal. ¡Viva el corporativismo y el socialismo financiero! Opere y siga la tendencia, no los permatoros o permaosos "expertos". Oro en piso? Mire la MM200! Hay señales de fuerte demanda física. Una cruce definitivo por arriba de la media móvil de 50 días podría ser una buena señal ( hoy techo). No juegue a acertar el piso. El oro sigue haciendo máximos en distintas divisas. Hay mucho riesgo a que el oro rebote, por lo tanto, se siente el nerviosismo de los shorteados en el oro. Hay múltiples reportes de fuerte demanda física. El platino casi a mismo precio pero con mejor cuadro, suele ser una mejor apuesta a estos precios para quienes lo vean alcista. Precaución, podemos estar viendo un piso en este momento. Quisiera ver la foto semanal del gráfico del oro este viernes. Pero hay mucho nerviosismo y muchas compras. Suspendemos nuestra señal pasada de bajista a neutral ( dada vía twitter) y con el dedo de gatillo para enviar señales de trading de compra. De cualquier forma a largo, sigue siendo buenos precios. Los datos "positivos" de USA mantienen en verde las bolsas de Asia. Sobre este tema, no se pierda los comentarios que haremos mañana, cuando nos referimos a "datos positivos". 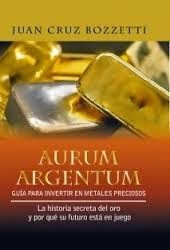 1) El libro en pdf Aurum Argentum : ebook con toda la información sobre como invertir en oro y plata. 3) Acceso a webinario el 28/2 sobre todos estos temas . Haga click aquí para registrarse y conseguir este material exclusivo importantísimo para sus finanzas personales en este 2013. Descuento del 28% por pago anticipado hasta el 7/02/2013.